Plant hormones play important roles in regulating numerous aspects of plant growth, development, and response to stress. In the past decade, more analytical methods for the accurate identification and quantitative determination of trace plant hormones have been developed to better our understanding of the molecular mechanisms of plant hormones. As sample preparation is often the bottleneck in analysis of plant hormones in biological samples, this review firstly discusses sample preparation techniques after a brief introduction to the classes, roles, and methods used in the analysis of plant hormones. 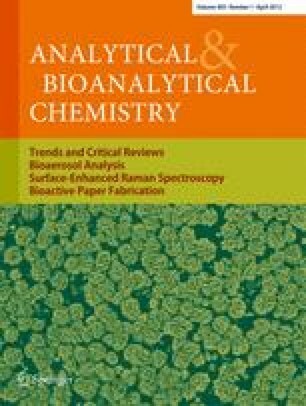 The analytical methods, especially chromatographic techniques and immuno-based methods, are reviewed in detail, and their corresponding advantages, limitations, applications, and prospects are also discussed. This review mainly covers reports published from 2000 to the present on methods for the analysis of plant hormones. An erratum to this article can be found at http://dx.doi.org/10.1007/s00216-012-6222-1. This work was supported by the National Natural Science Foundation of China (Grants 20905005 and 21065003), by the China Postdoctoral Science Foundation (Grant 201003008), and by the Doctoral Research Foundation of Guilin University of Technology (Grant 002401003314).